Leslie Banks, Flora Robson, Sebastian Shaw et al. Following a five-year stint in India, a British regiment returns home to Southampton - only to find out they must depart again in six hours. 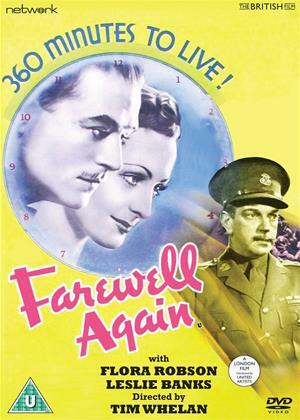 Col. Harry Blair (Leslie Banks) learns his wife is dying and has to decide whether to return to duty, while Capt. Gilbert Reed (Sebastian Shaw) realizes he loves nurse Ann Harrison (Patricia Hilliard) rather than his fiancee. Meanwhile, orderly Jim Carter (Robert Newton) suspects his girlfriend has been cheating, prompting murderous thoughts.